​As part of the Urban Humanitarian Responses research project, SLURC held a stakeholder consultative workshop on the 30th November 2016 and key stakeholders in Urban Humanitarian Response were in attendance. 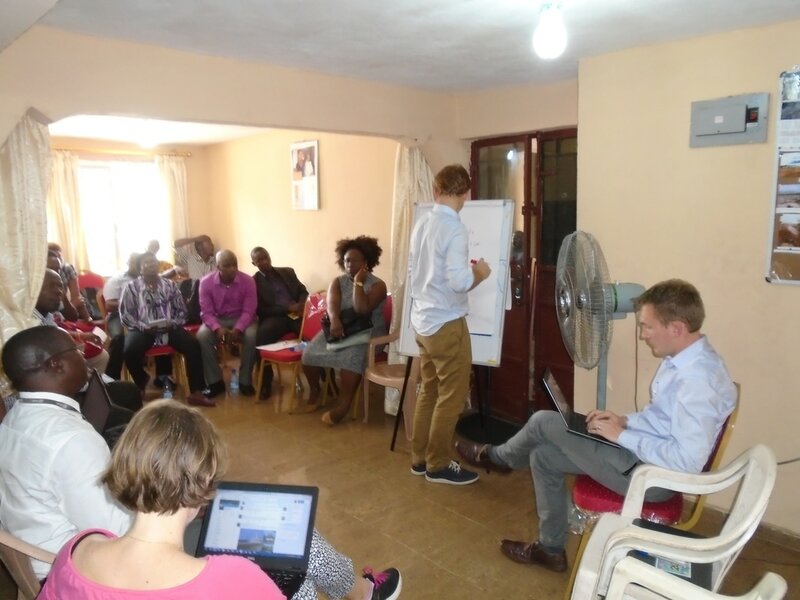 These include the Office of National Security, Freetown City Council, E-health Africa, Plan International, Brac, YMCA, various CBOs drawn from the study community as well as the resident Councilor to the Freetown City Council. The workshop followed a detailed literature review that included reports and policy documents of various actors and a methodology that comprise a qualitative method of data collection have been adopted. Before the workshop, two focus group discussions were conducted in the community. Additionally, observations were carried out in the community at different times including two transect walks. The workshop then provided the platform to discuss initial findings from the pilot field exercises for a conclusion and consensus on the methodology for the research. The research project aims to examine the role that urban humanitarian response is playing in the empowerment of community-based organisations of slum dwellers. The research also focuses on the empowerment implications of Humanitarian responses and explores the extent to which approaches have been able to build the capacity of slum dwellers, community-based organisation and collaboration with different stakeholders to enable critical learning and create opportunities for the recognition of the diverse needs and aspiration of vulnerable groups in communities. It is envisaged that the research will be completed by end of April and an output dissemination event will be held.